At its Build developer conference, Microsoft announced the launch of Visual Studio Code, a lightweight cross-platform code editor for writing modern web and cloud applications that will run on OS X, Linux and Windows. You can now download it here. 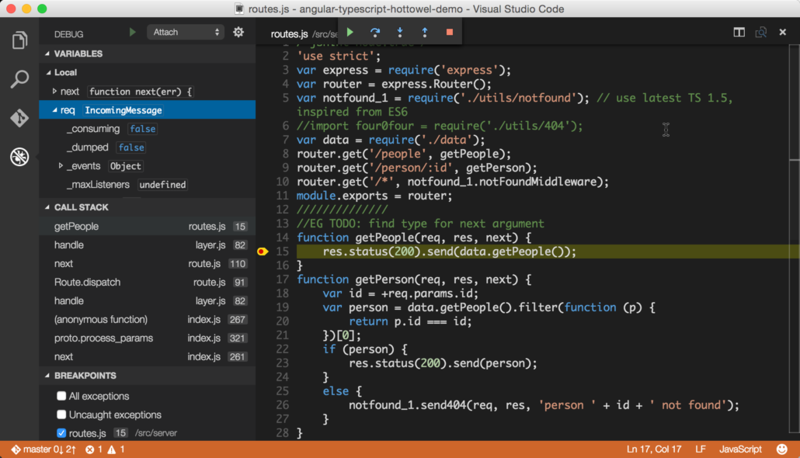 This marks the first time that Microsoft offers developers a true cross-platform code editor. The full Visual Studio is still Windows-only, but today’s announcement shows the company’s commitment to supporting other platforms. I like VSCode because it’s super-fast and provides some rich development features (code completion, navigation, deployment, debugging, Git, task running). At-last i shall say It’s fast editing experience is similar to what you get with brackets, Sublime while it’s debugging and integration experience is similar to what you get with Visual Studio. Microsoft on 13th November had launched the latest version of its Visual Studio tools for developers at an event in New York City. The new version includes a number of user interface improvements, smarter tools for inspecting existing code in its context and support for Windows 8.1 application development. All of these were previously announced and available in the VS 2013 RTM release. Today, I’m very excited to launch Visual Studio 2013 and .NET 4.5.1. I am also thrilled to announce Visual Studio Online, a collection of developer services that runs on Windows Azure and extends the development experience in the cloud. Visual Studio 2013 and Visual Studio Online represent the beginning of a new era for Visual Studio, combining a powerful desktop IDE with rich developer services in the cloud. As a part of our Cloud OS vision, Visual Studio 2013 and .NET 4.5.1 enable developers to build modern applications. At a time when the devices and services transformation is changing software development across the industry, the developer is at the center of this transformation. Visual Studio 2013, Visual Studio Online, MSDN and Azure offer the most complete experience for modern application development for the cloud. Visual Studio 2013 is the best tool for developers and teams to build and deliver modern, connected applications on all of Microsoft’s latest platforms. From Windows Azure and Windows Server 2012 R2 to Windows 8.1 and Office 365, Visual Studio 2013 provides development tools that help developers build great applications. Support for live debugging Azure sites from Visual Studio means you can set a breakpoint in a running service in the cloud, and step through it directly from Visual Studio. The new Cloud Business Application project type lets you build next-generation business applications leveraging Office 365 and Azure. And features like Energy Profiling and UI Responsiveness diagnostics make it easier than ever to build 5-star applications for the Windows Store. Today marks the beginning of a new era for Visual Studio with the availability of Visual Studio Online. Visual Studio has evolved over the years. Starting with an integrated developer environment for the desktop, Visual Studio expanded to also include team development capabilities on the server with Team Foundation Server. We are now taking the next step, extending the Visual Studio IDE with a collection of developer services, hosted in Azure, which offers the best integrated end-to-end development experience for modern applications. Today begins a new era for Visual Studio, extending the desktop IDE with a collection of rich developer services in the cloud. The combination of Visual Studio 2013, Visual Studio Online, MSDN and Windows Azure provides the most complete experience for modern application development for the cloud in the era of devices and services. 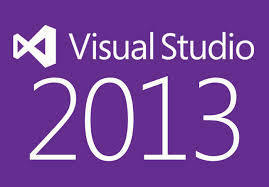 Welcome to Visual Studio 2013 and Visual Studio Online!